Welcome to the River Frome, a tributary of the River Avon, which flows from the Cotswold Hills, through South Gloucestershire and then southwest to the centre of Bristol. The Frome Valley creates an important green corridor through the villages and farmland of South Gloucestershire and the dense housing of northeast Bristol. The parks, woodlands, meadows and waterways provide welcome recreational space for people and a valuable environment for wildlife. The Frome Valley Walkway is an important recreational path running along the river connecting communities and open spaces. 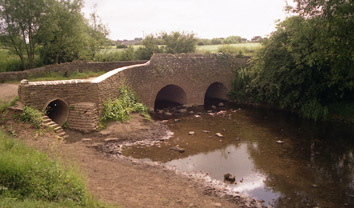 The Frome Valley Walkway is managed by the Avon Frome Partnership.